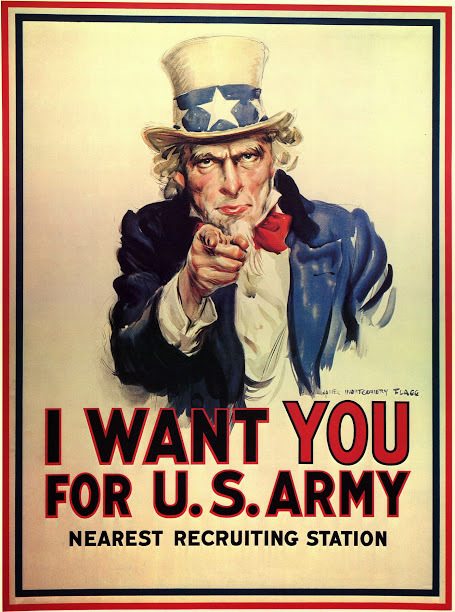 What Inspired the Uncle Sam Poster? 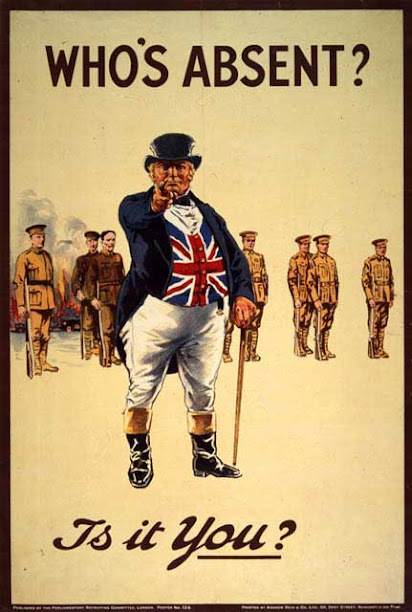 The 1917 poster of Uncle Sam recruiting for the U.S. Army is one of the most iconic American images, but its design and concepts are actually British in origin. 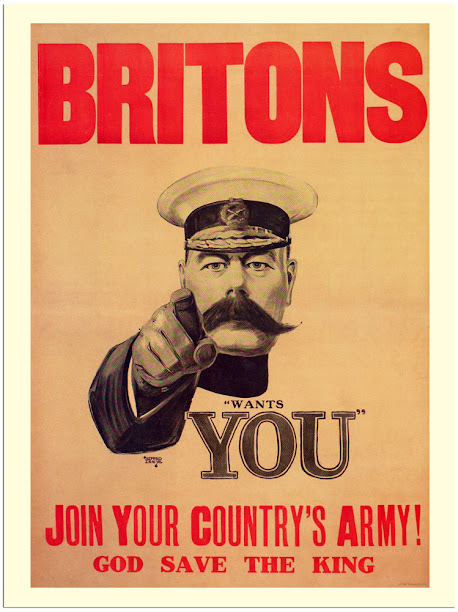 Combine the designs and concepts of these two posters, and you get Uncle Sam’s I Want You for U.S. Army. That’s the inspiration for the most iconic recruiting poster ever.